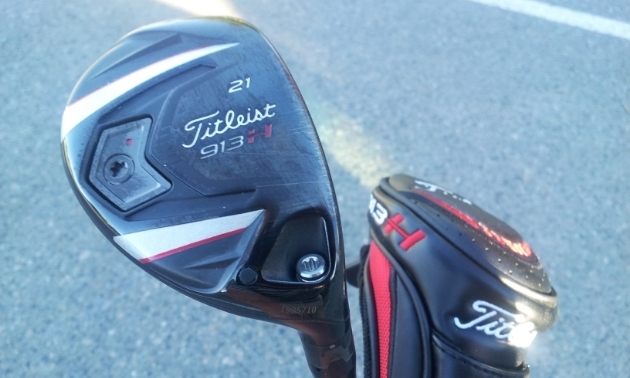 Adjustable clubs are cheating. And like all other ways of cheating in golf, you’re only cheating yourself. It bothers me that all the major golf manufacturers are going almost exclusively to adjustable clubs. Because it’s cheating. And like all other ways that one can cheat in the game of golf, in the end you’re only cheating yourself. My main issue with adjustable clubs is that they make it so you don’t have to fix what’s wrong with your swing. Got a slice? Just break out the tool and adjust your club so you don’t. All of a sudden hooking your hybrid? No problem! Just dial in a different weighting. Now, I’m all for making the game fun, and part of the fun of the game is making good shots that allow you to score decently. But it’s more fun to make those shots because you’ve improved. I mean, what pride is there in telling your buddies you shot 80, but knowing you did so by buying clubs that got rid of your errors. Wouldn’t it be more satisfying to just play more, work on your game, and get to that score with skill? I’ll tell you what: You give me a few hundred bucks, and I’ll give you a scorecard with your name and a good score on it. Is that going to make you feel awesome? Because that’s what the big club manufacturers are encouraging you to do now. The only way you can avoid it is by NOT adjusting your adjustable clubs, because it’s hard to find clubs that you can’t adjust these days. I just bought a new hybrid, for example, and I’ve got it set to its neutral settings, because I don’t want the club itself fixing my game. I want to slice it when I’m making a swing that should slice it. Otherwise how am I going to know that’s what I’m doing? I have a feeling that people who adjust their adjustable clubs to get rid of their faults have issues with their iron play. You can’t adjust those (yet) and because your woods and hybrids are set to make up for your error-riddled swing, I’m guessing it shows up on your approach shots. Anyway. That’s my take on it (for now). What are your thoughts? Are these good for the game? Do you think they’ll be outlawed eventually (like the upcoming ban on anchored putters)? Maybe you think I should just shut up and go with the flow. Live in the now. Embrace the future. Et cetera. And maybe I’ll have to eventually. But for now, I think it’s cheating, and my hybrid will remain in neutral.